This graceful optical glass crystal tabletop clock features striking bevels and pleasing, tapered profile sides. 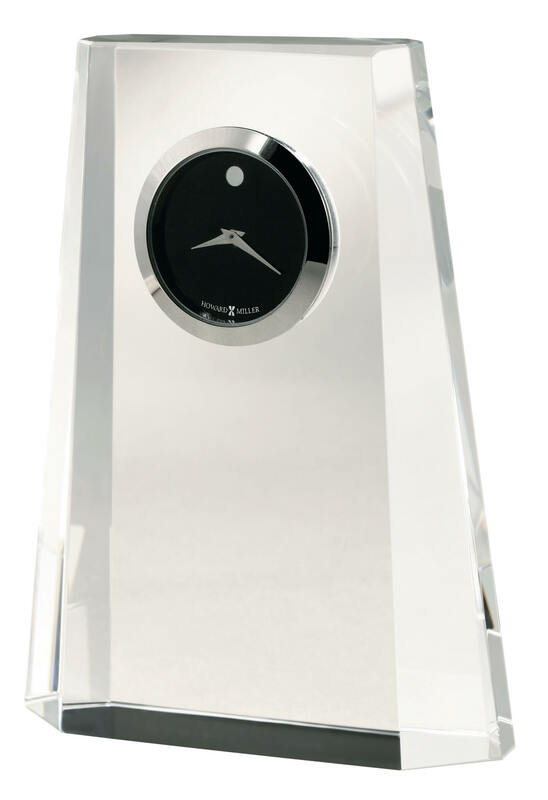 Black dial features a silver-finished dot at the "12" position, and includes silver-finished hands and glass crystal surrounded by a silvertone bezel. Packaged in an attractive black gift box. You will save $20.40 (30 %) on this Howard Miller Paragon 645-727.